The work processes for thermal cutting are always developing. In combination with the use of new work materials, it is thus essential that measures for employee protection in the workplace with regards to damage to health are continuously optimized and improved – this also applies for thermal cutting. For gas flame cutting, plasma cutting and laser cutting – all processes of thermal cutting – the composition of the basic material is important with regards to the chemical composition of the particulate matter, i.e. the dust. 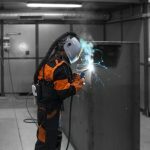 Despite the fact that the diameter of particles produced by gas and plasma cutting is larger than those produced by welding, particles are just as respirable (entering the lungs) and thus hazardous to the health and partially carcinogenic. Very fine particles can also be generated during processes with great energy density such as laser cutting. There is a health risk due to gaseous and particulate substances depending on the composition, concentration and time period for which an employee is exposed to a harmful substance. In addition to the cutting dust, poisonous and pungent nitrous gases such as nitrogen dioxide are created (we have explained here which hazards are created due to the use of nitrous gases). The cutting dust emission rate is at about 10 to 50 milligrams per second. In addition to cutting smoke, ozone can also be produced in a dangerously high concentration when working with highly reflective raw materials with aluminum (e.g. aluminum-silicon alloys). If the materials contain chromium or nickel, then carcinogenic chromium (VI) compounds and nickel oxide are generated. When using compressed air and/or nitrogen as plasma gas, then a large quantity of nitrogen oxide is generated. With growing intensity of the parameter, the dust emission increases. Due to the high energy density used in laser cutting, the particles are particularly fine. They also contain nanoparticles which are able to penetrate cell membranes. 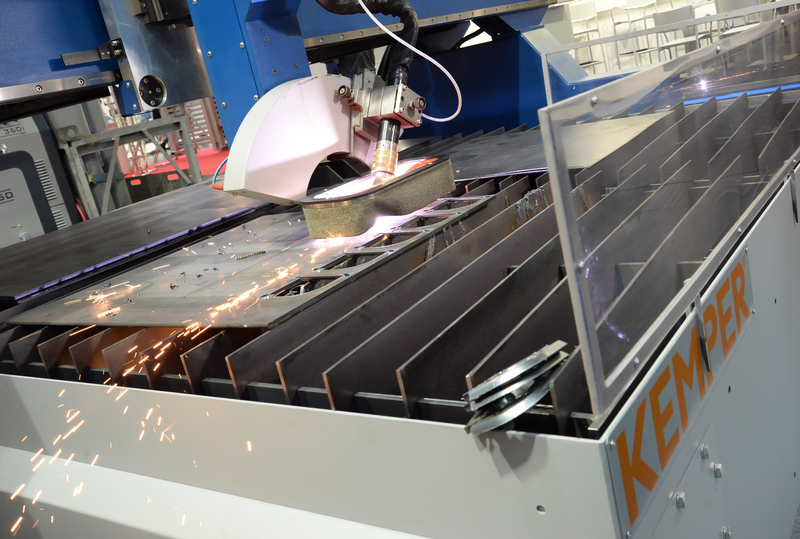 Even if the dust quantity is less in laser cutting than in plasma cutting, it is still significant. The highest emissions of harmful substances occur in the laser cutting of chrome-nickel steel. The emission of harmful substances is in turn greater when cutting galvanized steel in comparison to unalloyed steel. 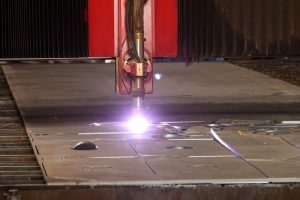 The emissions of harmful substances are reduced by about half if nitrogen (laser cutting high pressure cutting) is used as cutting gas instead of oxygen (laser flame cutting). For all processes of thermal cutting, the use of effective extraction technology is thus necessary. 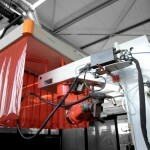 In order to prevent the limit value for the A-fraction of dust (1.25 milligrams per cubic meter) being exceeded when thermal cutting at the machine (independent of the chemical composition of the materials), technical protective measures have to be introduced, such as under the table extraction. Otherwise, independent of the basic material, the relevant limit values (maximum workplace concentration and old technical concentration guideline) are exceeded quickly. The extraction table with powerful filter systems are essential and ensure the safety of employees if there are large quantities of fine dust.